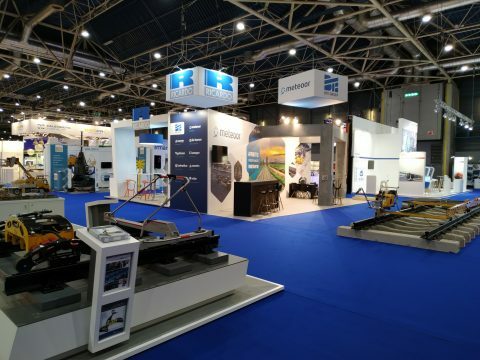 Wednesday 27 March is the second day of RailTech Europe at Jaarbeurs Utrecht. Today’s conference is devoted to energy saving in rail. In this liveblog you can read everything that happens at this big rail event. 16.40: The energy-saving day is over. As a conclusion, remember the words of Stientje van Veldhoven, State Secretary for Infrastructure and Water Management, spoken out this morning: “We need solar power. We need wind power. But, above all, we need your brain power.” Let us make railways smart and energy sufficient! See you tomorrow on the final day of RailTech Europe Conferences devoted to the predictive maintenance. 16.10: Péter Rónai, Head of MÁV’s Directorate for Infrastructure Services at Hungarian State Railways (MÁV), tells about Hungarian experience in energy measuring in rails. The country’s railway network counts 7,246 kilometres, 2,686 kilometres of them are electrified lines. The annual energy consumption is 879 Gigawatt hours, according to 2018 data. In 2016 MÁV started to measure energy. It recorded 88 Gigawatt hours of wasted energy. MÁV as an infrastructure manager tries to stimulate railway undertakings to install metres on their rolling stock. It implemented the energy certificate according to energy-efficient consumption. “After 2020, we will be able to count all the data on energy consumption”, Rónai explains. For the Hungarian rail sector, it means that all locomotives should be equipped with energy measuring devices. 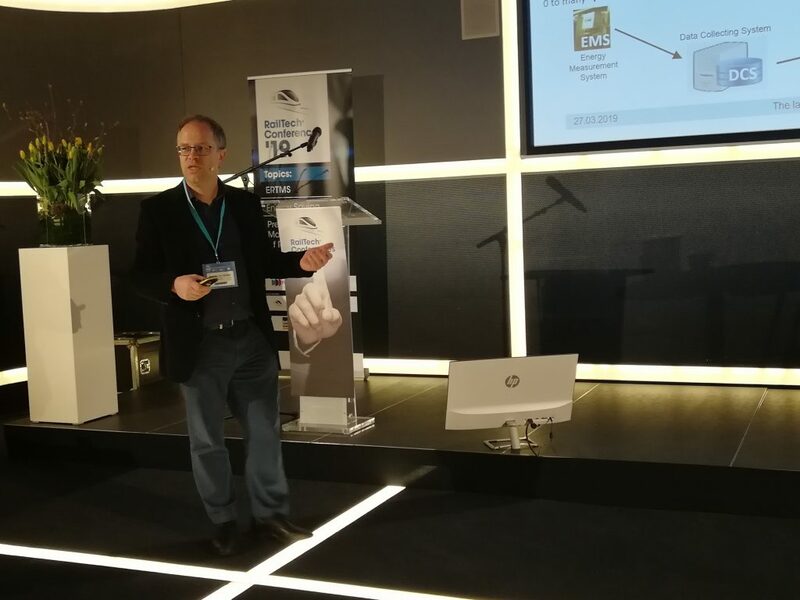 15.55: Arjan Heinen, CEO of Hedgehog Applications, presents the Hedgehog System – the innovation of his company developed to use train braking energy to charge electric buses. The system consists of Energy House equipped with batteries and charges. 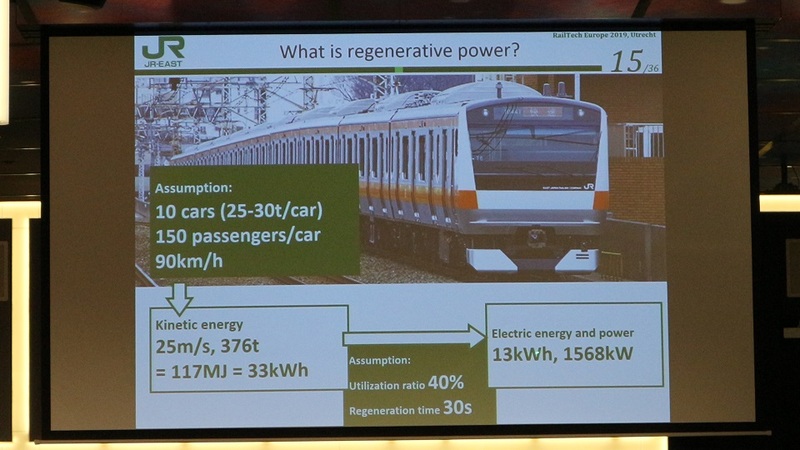 It receives the braking energy from trains, stores it and returns it for charging electric buses. Heinen intends to implement his ideas in his native town of Apeldoorn. According to him, the project is in the final stage. It is expected that the Hedgehog System will be launched by December 2020. 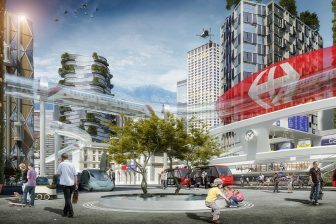 As for future plans, Heinen wants to use the braking energy to power other modes of transport including metro and trams. 15.30: The last session of the energy-saving day begins. Its topic is innovative approaches. The discussion starts with a presentation of Ferdinand Spek, Technical Consultant at ADSE Consultancy & Engineering. He explains how to reduce energy consumption with the help of heating, ventilation and air conditioning system (HVAC). He specifies in detail the HVAC method. It includes the making of the calculation model of energy consumption and its further verification. The HVAC method provides two potential benefits: for operators, reducing CO2 emissions and for the industry, the improvement of HVAC technology. 14.05: The next presentation is delivered by Hitoshi Hayashiya, General Manager at East Japan Railway Company (JR East). His company operates railway lines in the eastern part of Honshu island. The energy consumption was growing rapidly due to the electrification of lines and traffic intensification. However, it started to decrease after 2011 due to the implementation of new technologies. JR East was a part of this process. The company introduced regenerative energy utilisation, the use of renewable energy and energy management at the station and battery trains. Thus, JR East has installed several energy storages on its routes. For example, Haijima storage allows saving 400 megawatts to hours per year, Okegawa storage – 700 megawatts to hours per year. Text continues the text below. 13.45: Fedor Ten Harve and Reinout Wissenburg from ProRail tells about the energy efficiency policy of the Dutch infrastructure manager. Wissenburg stresses the importance of rail transport for environment-friendly travelling across Europe. Fedor Ten Harve presents the sustainability programme of ProRail for 2016-2030. He notes that some of the goals have been reached including circular use of materials, renewable electricity and more than 30 per cent energy efficient. The ProRail’s energy saving policy is based on the Trias Energetica concept that includes reducing demand for energy, using renewable energy and producing and using fossil energy as efficiently possible. He ends the presentation with an ambitious target of ProRail. The infrastructure manager intends to develop an energy-saving policy and plans to become climate neutral by 2050. 13.30: The third section of the energy conference starts. It is dedicated to the practical aspects of energy saving. Chloe Lima-Vanzeler from SNCF Mobilities and Roesja Danek from Nederlandse Spoorwegen deliver a presentation on the Driver Advisory System (DAS). The French operator uses DAS under the Opti-Conduite brand, the Dutch operator – under the Tim-Tim name. The speakers notice that the use of DAS allows reducing energy consumption by 5-12 per cent. 13.30: The third section of the energy conference starts. It is dedicated to the practical aspects of energy saving. Chloe Lima-Vanzeler from SNCF Mobilities and Roesja Danek from Nederlandse Spoorwegen deliver a presentation on using the Driver Advisory System by their companies. 12.35: Networking lunch break. Bon appétit! 11.50: Benoît Bienfait, System Program Manager at Alstom Belgium, gives a presentation on Automatic Train Operation (ATO) opportunities for energy saving. According to him, simulator tests have shown the energy consumption reduction could reach a level of 15 per cent or even more. It depends on distance, type of rolling stock and other factors. 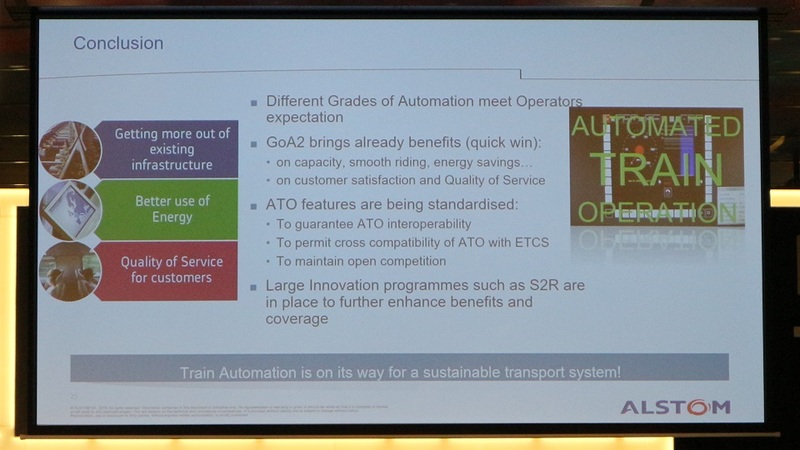 Bienfait concludes the presentation by defining three main benefits of ATO for the rail industry: more efficient use of the infrastructure, energy saving and better quality for customers. 11.35: Eugenia Bonifazi, leading expert at Ricardo Energy and Environment, tells about the steps the Dutch rail sector should implement to comply with Article 8 of the Energy Efficiency Directive (EED). The regulation will be into force on 5 December 2019. EED sets a minimum share of renewable energy in the transport sector of 14 per cent of final energy consumption by 2030. 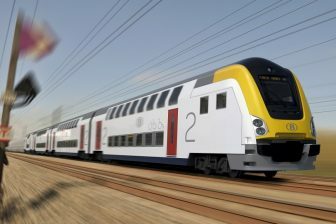 It means that the Dutch operators should think about increasing its environment-friendly rolling stock. It can be achieved by implementing solar energy solutions for traction, hydrogen and battery-powered trains. 11.15: The second session dedicated to standardisation in rail energy saving starts. The first presentation is delivered by Bart van der Spiegel, an expert in energy management at Infrabel. He talks about energy measuring on the Belgian railway network. The presentation of the Infrabel’s expert is devoted to three main issues: energy measuring, legal regulations and European partnership for railway energy settlement systems (Eress partnership). 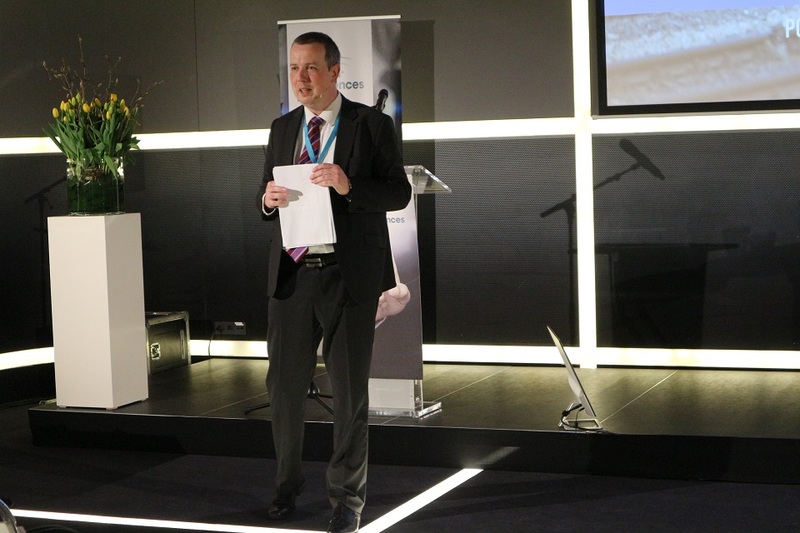 As for energy measuring, he notes that Infrabel is cooperating with rail operators over installing energy meter devices on locomotives and trainsets. Also, Van der Spiegel makes a deep excursion into European laws and directives that regulate energy consumption in rail. The third point is dedicated to Eress partnership that was established in order to join forces for developing Erex data exchange solution. 10.00: Jacopo Tattini, Transport and Energy Analyst International Energy Agency, gives a presentation about the future of rail in terms of energy consumption and saving. He notes that the rail sector is the most efficient among other transport modes. It consumes less than 1 megajoule per passenger kilometre. 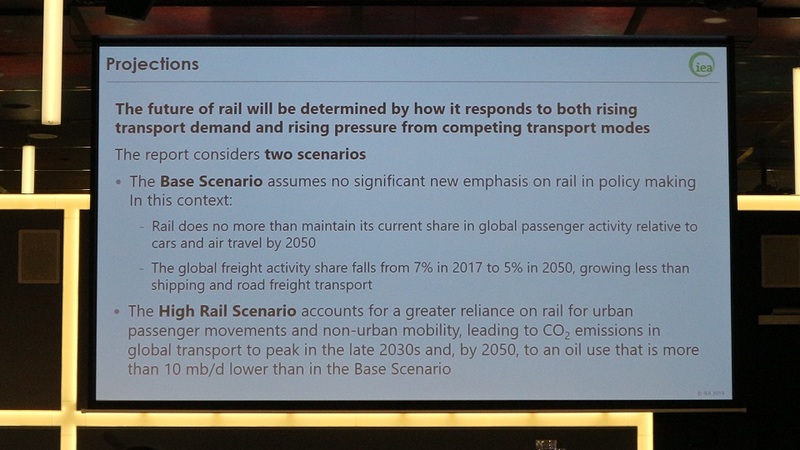 Jacopo Tattini also points out two possible scenarios of the rail future. It depends on how the industry will respond to both rising transport demand and rising pressure from the competing transport modes. 09.35: Wim Bontinck, energy and environmental manager at NMBS/SNCB (Belgian railways), tells about the energy saving policy of his company. Last year NMBS/SNCB consumed energy at 1.473 gigawatt hours to joules. The vast majority of this volume, 1.197 gigawatt hours to joules, was electricity energy and the remainder, 276 gigawatt hours to joules, was consumption of natural gas. 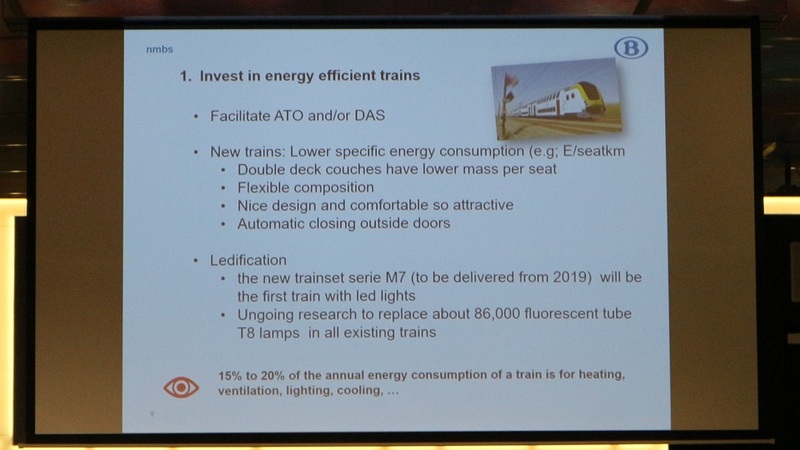 According to Mr Bontinck, NMBS/SNCB has a target to reduce non-specific energy consumption by 7 per cent by 2022. He mentions several measures for energy saving. The first step is to invest in energy efficient trains. The new M7 trains are scheduled to be delivered this year. The second measure is more energy-efficient use of buildings. From 15 to 20 per cent of energy is consumed for non-specific use, for heating or cooling buildings. The next two steps are more energy-efficient use of trains and installing energy meters on locomotives. 09.15: Rob Goverde makes an introduction to energy saving in rail. He lists several possible measures in this area: prevention of energy consumption, use of energy-efficient assets, applying energy-emission operations, etc. “The key is speed for energy saving”, he notes. Rob Goverde specifies a lot on energy-efficient driving. 9.05: The second conference day starts with a presentation of Stientje van Veldhoven, State Secretary for Infrastructure and Water Management. She delivers a presentation on energy saving in rail from the ministry’s point of view. “Over the next 11 years, we need to cut emissions in transport by six to seven megatonnes. 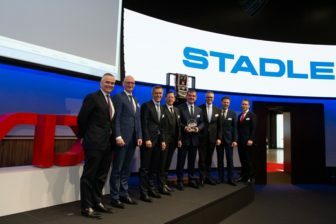 And that will be a challenge because mobility in the Netherlands is going to rise,” she says. The state secretary stresses the necessity of a future strategy. One month ago the ministry presented the Vision on the Future of Public Transport by 2040. The document provides ambitious goals on the sustainability of railway transport. By 2030, the entire public transport will be emission-free and all public transport will use 100 per cent green electricity. Therefore, Dutch railways cannot stop in implementing innovations to achieve these goals. “Energy efficiency involves not only new technology but also behaviour. By driving trains efficiently, train drivers can save five per cent of total energy consumption. Dutch trains consume around 1.2 billion kilowatt-hours a year in total – roughly the same as the entire city of Amsterdam. So five per cent is a lot of energy!”, Van Veldhoven concludes. The State Secretary finalises her speech with an inspirational message. “We are at the dawn of a new era. As one of the cleanest forms of transport, the rail system is growing ever-more important. So we need your knowledge and expertise more than ever to facilitate an energy-neutral, intensively used, and attractive rail network. We need solar power. We need wind power. But, above all, we need your brain power”, she says. 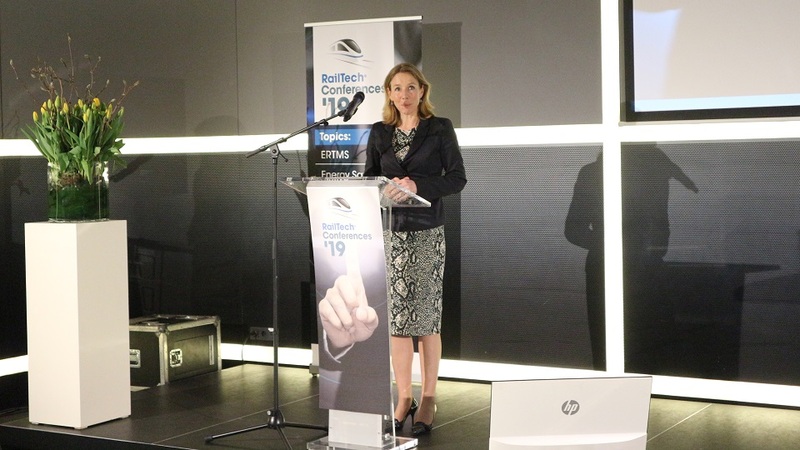 9.00: Programme manager Marieke van Gompel opens the Energy Saving conference of RailTech Europe and welcomes all attendees. Today’s chairman will be Rob Goverde, Professor of Railway Train Operations & Management TU Delft.